Who doesn’t love a good car chase? Show of hands. Yup, that’s everybody. 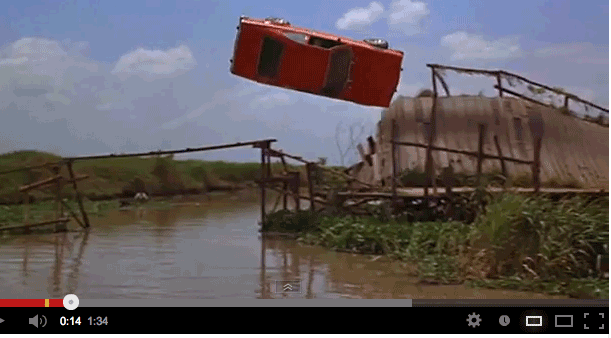 Good car chases are a big part of a movie. Perhaps the first one that comes to mind is the classic chase in Bullitt. Now think Bond, James Bond. 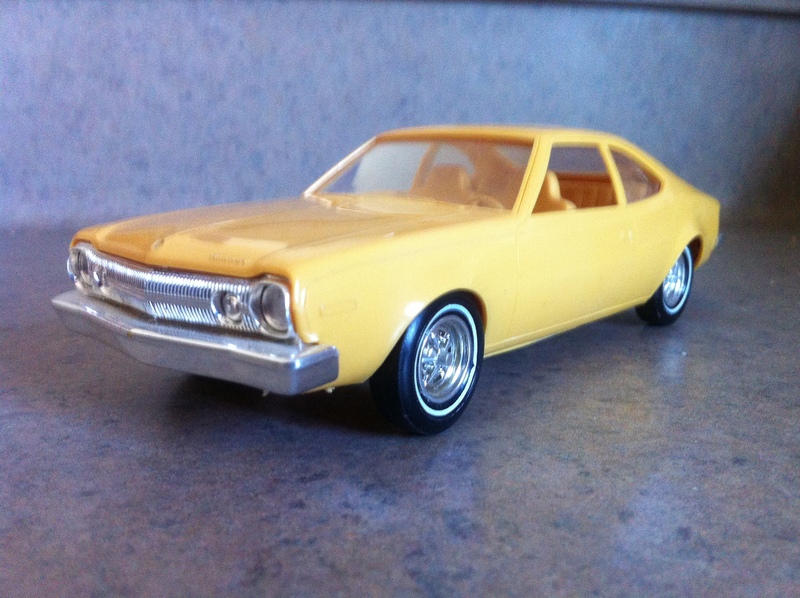 Super awesome car chases in those movies but because, as you all know, I have this sick love affair for AMC cars, I remember the 1974 AMC Hornet in The Man with the Golden Gun. The action begins as secret agent 007 commandeers the Hornet from a dealership in Bangkok with a vacationer who was looking at the car. The Hornet performs an “airborne pirouette as it makes a hold-your-breath jump across a broken bridge“. Of course the stunt car is significantly modified with a redesigned chassis to place the steering wheel in the center and a lower stance, as well as larger wheel wells compared to the stock Hornet used in all the other movie shots. OK, now lets back up a bit for a history of the Hornet which was a compact automobile made by the American Motors Corporation (AMC) in one generation beginning with the 1970 model year and continuing through the 1977 model year. The Hornet replaced the compact Rambler American marking the end of the Rambler marque in the American and Canadian markets. Hornets were also marketed in foreign markets, as well as assembled under license agreements with AMC that included Vehículos Automotores Mexicanos (VAM), Australian Motor Industries (AMI), and by Toyota S.A. Ltd. in South Africa. The Hornet name plate goes back to the mid-1950s. The name originated from the merger of Hudson Motor Company and Nash-Kelvinator Corporation in 1954. Hudson introduced the first Hudson Hornet in 1951. The new Hornet became an important vehicle and platform for AMC. It served the company in one form or another for eighteen years, until the 1988 model year. 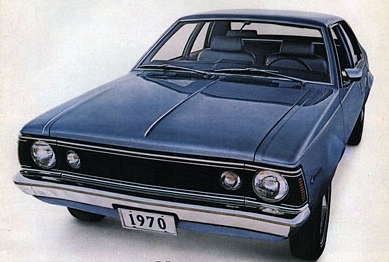 It would outlast all other compact platforms from the competition that included the Chevrolet Nova, Ford Maverick, and Plymouth Valiant. The Hornet marked the return of AMC to its original role as a “niche” marketer specializing in small cars. It also became one of AMCs best sellers. 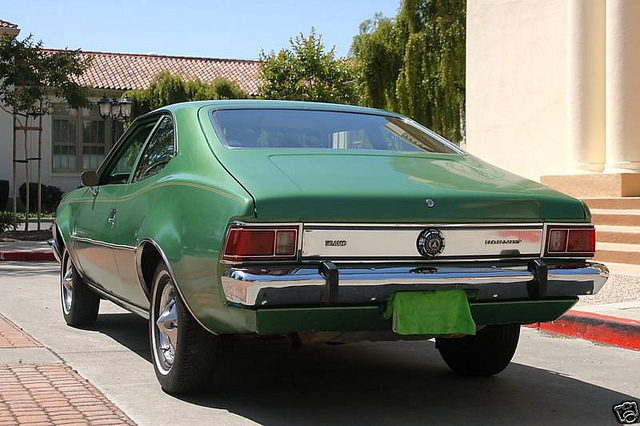 We had a 73, like this one, the first year they made the Hornet in a hatchback. It was green so of course we could call it the green Hornet. Our’s had AMC’s 258 4.2 liter in it and that 170 horse power engine moved it around nicely. OK now promise me you won’t tell my dad but it was really easy to lay rubber with. I really liked that car. Now the real deal can be had for around 4 grand. More if you want the 1970 SC with the 360 in it. Now that laid rubber even if you looked at the accelerator. 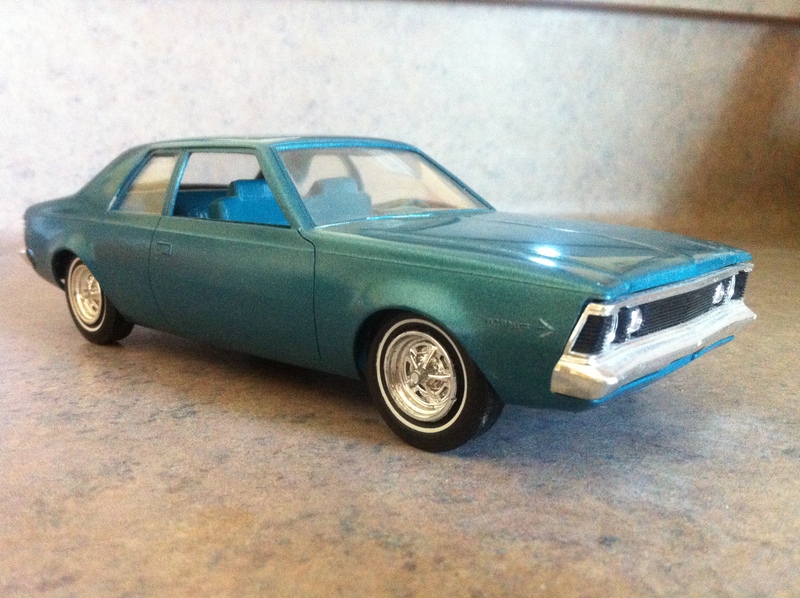 For the promo models, they are very affordable to plus, they don’t have the usual rust found on AMC cars in the 70’s. I have a couple of Hornets, a 1970 2-door and a 73 fastback. Mine are both in mint condition although I’m not sure if I have the boxes for them. My bad. I might have another 73 around somewhere to. Nope, these were not freebies, I actually bought these at one of those car model swap shows since I most likely blew up/burned up/smashed the ones dad brought home for me. Hey, I was a kid. You know, living for the moment. These are pretty inexpensive to too. I think around 30-50 bucks. 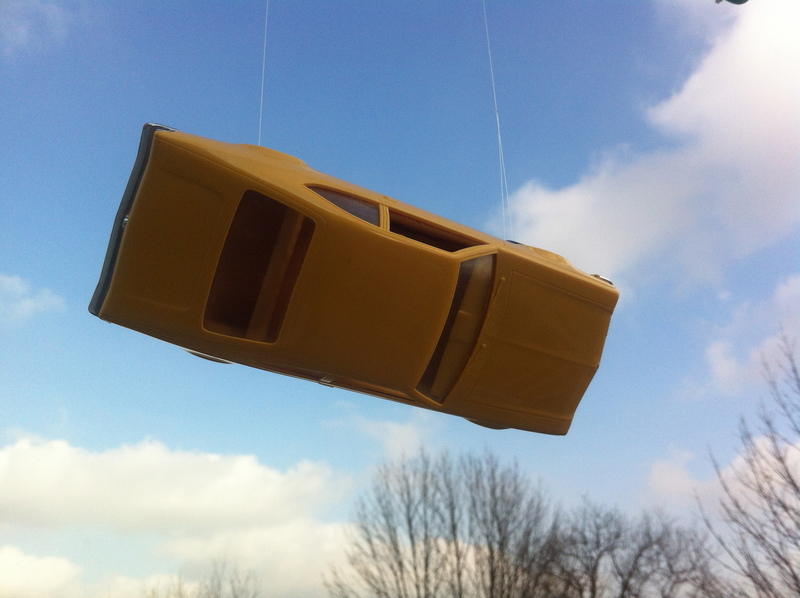 Hey look, I got my 73 to do the Bond stunt. Fishing line,what fishing line?